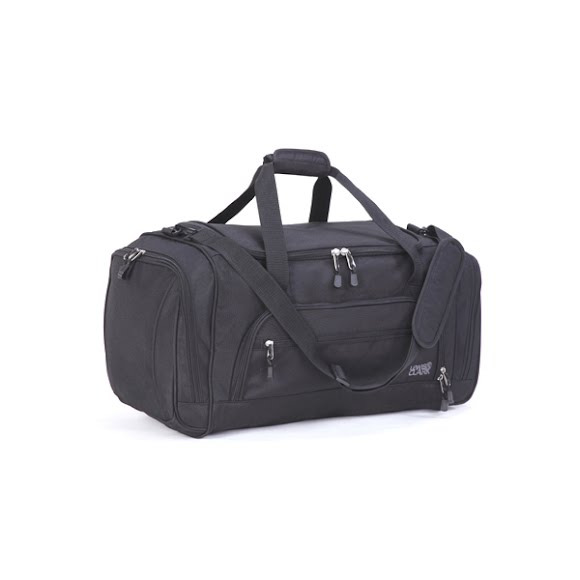 Durable, versatile and feature filled, this 6 Pocket Duffel from Lewis N. Clark is travel ready! 420D ripstop polyester with PU backing. Lightweight durable construction to minimize weight and still meet the challenges of everyday travel. Front organizer pocket for fingertip access to essentials. Side pockets for added storage.